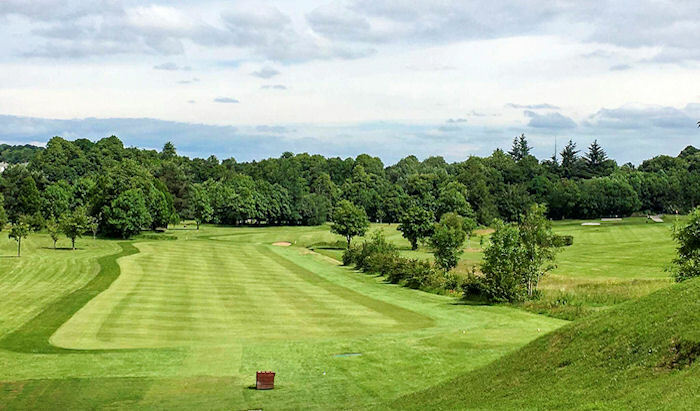 Rouken Glen is a short but extremely challenging 18-hole course on the south side of Glasgow. Designed by the legendary James Braid, it is in many cases a very good and typical example of one of his parkland creations, including a notable example of the ‘dogleg’, which Braid has been given the credit for inventing. The course at Rouken Glen has flourished since it was bought by David Lloyd Leisure a little over two years ago. It features a relatively gentle opening few holes before challenging you from the middle stretch onwards. It is one of Glasgow's most popular course and for good reason. Although on the short side, Rouken Glen is well maintained and offers enough to trick even the single figure handicappers. It remains, however, an excellent course for less experienced golfers to get a foothold in the game and increase their enjoyment. 7th – It may measure just shy of 400 yards but plays much longer than it looks. Watch out for the burn two-thirds of the way down the fairway, as it makes it very easy to be caught out with your second shot.